The multi-award winning Port Gaverne Hotel has been voted top gastropub in Cornwall at this year’s prestigious Estrella Damm Top 50 Gastropub Awards, crowning a record year for David and Jackie Barnard and the team at what has become one of the county’s favourite foodie destinations for both locals and tourists alike. 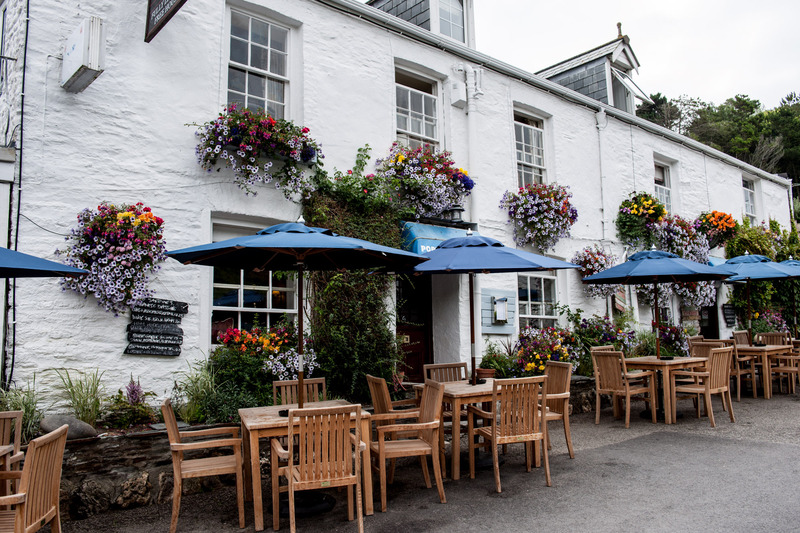 Amongst the many accolades picked up over the last year, the Port Gaverne was hailed by Pub and Bar Magazine as the Best Pub in Cornwall while the picturesque hotel also made it to the finals of the Great British Pub Awards in the Best Inn category. As testament to the consistently high quality of the locally sourced food created by David and his team, the Port Gaverne not only made the Catey hospitality awards finals last year, but also gained two AA rosettes and was voted Best Food Pub by peers and business partners at the recent St Austell Brewery estate awards. The Port Gaverne’s top Cornish ranking in the Gastropub lists, coming straight in at 23 in the full 50 national listings, was unveiled at a Michelin-star-studded awards ceremony hosted by celebrity chef, Matt Tebutt. Inclusion in the Top 50 Gastropubs list is particularly coveted by chefs and landlords because they are only voted for by peers in the industry – chefs such as Anton Piotrowski and Tom Kerridge, trade experts, food writers and journalists – meaning recognition is a sign of real consistency, innovation and quality in all areas of the operation. The Port Gaverne is currently closed for its annual refurbishment and upgrade until Friday 10th February at 3pm, reopening with an extended 4-day special weekendto include the popular 6 course Valentine’s Menu.